We have a large range of winter, spring and summer suits for whatever mother nature can throw at you. We stock all the top brands: Rip Curl, O'Neill, Patagonia, Xcel, C-Skins, Vissla and more. Whether you're after a 2mm shorty, a 3/2 wetsuit, a 5/4 hooded steamer or anything in between you will find it here. We have been selling and fitting wetsuits for over 20 years, so we can help you find the wetsuit to suit your needs and fit you perfectly. Free European delivery on all blindstitched wetsuits ordered online. From summer suits to full hooded winter suits, we have a large of men's wetsuits for all conditions. With over 20 years experience you can rest assured that we can get you the perfect fitting wetsuit. We have wetsuits from all of the top brands fitting all sizes, abilities and budgets. We stock a large range of women's wetsuits from the top brands around the world, we have wetsuits for the height of summer and the cold depths of winter. We have over 20 years experience in fitting wetsuits, so can help you find the perfect fit for your body and your requirements. 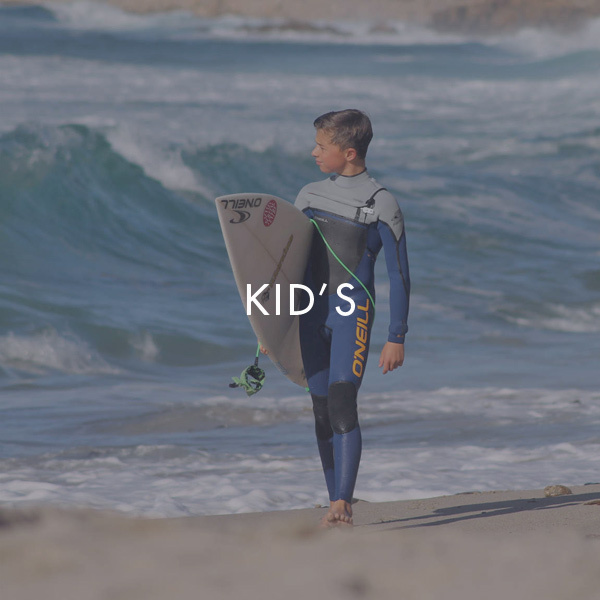 From toddlers to groms we have got the younger surfer covered all year round. We stock kids wetsuits from the top brands around the world covering all needs and budgets. Whether its a sunny afternoon or a cold winters day, we've been keeping groms in the water for over 20 years. Unfortunately not all of us are blessed with year round sunshine and warm waters, fortunately we have a wide range of gloves, boots, changing robies, hoods and rashvests to keep the cold at bay. We also stock products to take care of your wetsuit such as cleaners, repair kits and wetsuit bags.